Priced Separately -- MUST SELL -- OR Make me an Offer -- For 1 -- OR BOTH !! Buyer to pay U.S. Shipping, or items can be picked up. Cash or Money Order Only. 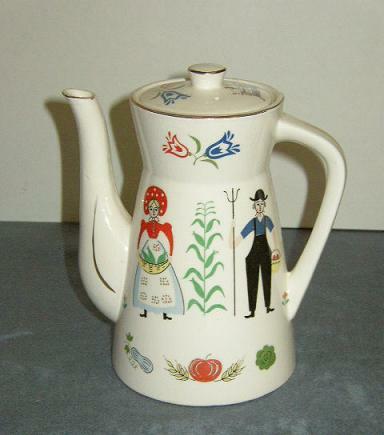 Small Collection of Vintage, Folk Art Dishware -- Farmer & Wife, Penn Dutch by Royal Sealy (Japan)!! These Wonderful, Vintage Pieces are all in Very, Good Condition, Bright Colors and trimmed in Gold. See all my items for sale in my online store !